Why Choose Dr. Vijay C Bose for Hip Replacement Surgery? Dr. Vijay C. Bose is an orthopaedic surgeon in India performing hip replacement surgery. Joint Replacement Surgery Hospital India assists the international patients seeking the low cost hip replacement surgery in India from Dr. Vijay C. Bose. Our group has been at the forefront providing assistance right from your pre treatment consultation to the post treatment consultation throughout your medical journey to India. Dr. Vijay C. Bose is the Joint Director and Consultant Orthopaedic Surgeon of Joint Reconstruction Unit at Chennai. His special interest is in the high reconstruction in young patients. Why Choose Hip Replacement Specialist - Dr. Vijay C. Bose? Achievement award Exemplary contribution in the field of hip arthroplasty 2013 SPOT hospital by Dr. Rosiah, Honourable Governor of Tamil Nadu. Best Doctor Award 2012 by the Tamil Nadeu Dr. M.G.R. Medical University. Young Achiever Award 2008 for his accomplishments in orthopaedics by Shri. P. Chidambaram, the honourable Union Minister for Finance. Lt. Col. Thayumunusamy Gold Medal in 1989 for his proficiency in orthopaedic surgery at Madras Medical College. Get your free consultation for hip replacement surgery from Dr. Vijay C. Bose by contacting us at drvijaybose@jointreplacementsurgeryhospitalindia.com or call at +91-98604-32255. Frederick Schmidt was part of the Austrian team which won a silver medal for skiing at a pre-Olympic event ahead of the Innsbruck winter Olympics in the year 1976. In 2015 December, this athlete turned physical trained was agonised with severe back pain. He logged on to the internet searching for good hip surgeon and came across Dr. Vijay C. Bose who specializes in hip replacement surgery. He said most friends supported his idea. So he underwent a hip replacement surgery performed by Dr. Vijay C. Bose. On January, the doctors declared he is fit for discharge. He flied back to his present home in Sweden and started fitness training courses for his customers. 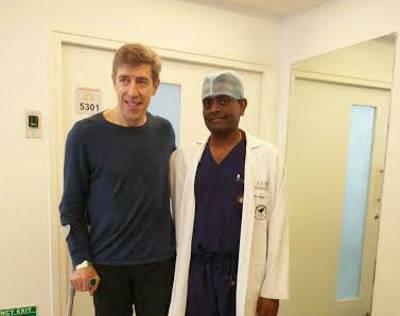 Many people like Schmidt travel to India for hip replacement surgery at affordable cost from Dr. Vijay C. Bose. 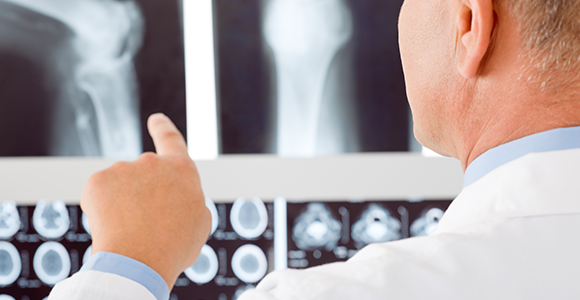 He has developed secondary osteoarthritis after sustaining hip injuries in a bike accident. As per Dr. Bose, “He was medically managed but he told us he was in pain.” Schmidt refused his surgery in Sweden as he was told there would be a lot of restrictions on his sports action.